There is nothing more satisfying than a really good homemade Chocolate Pudding, one with a velvety smooth texture and deep chocolate flavor. I love everything about it. 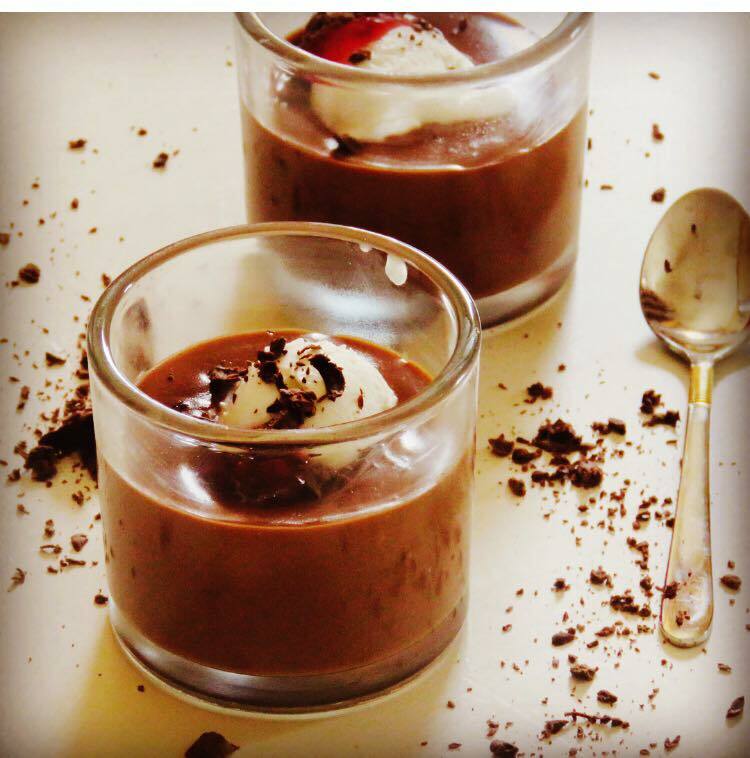 My Elder daughter always says she can leave chocolate but she is not QUITTER and to encourage her not quitting habits , I always get inclined to make more and more chocolaty desserts , out of which chocolate pudding is the most old ,original and time tasted . 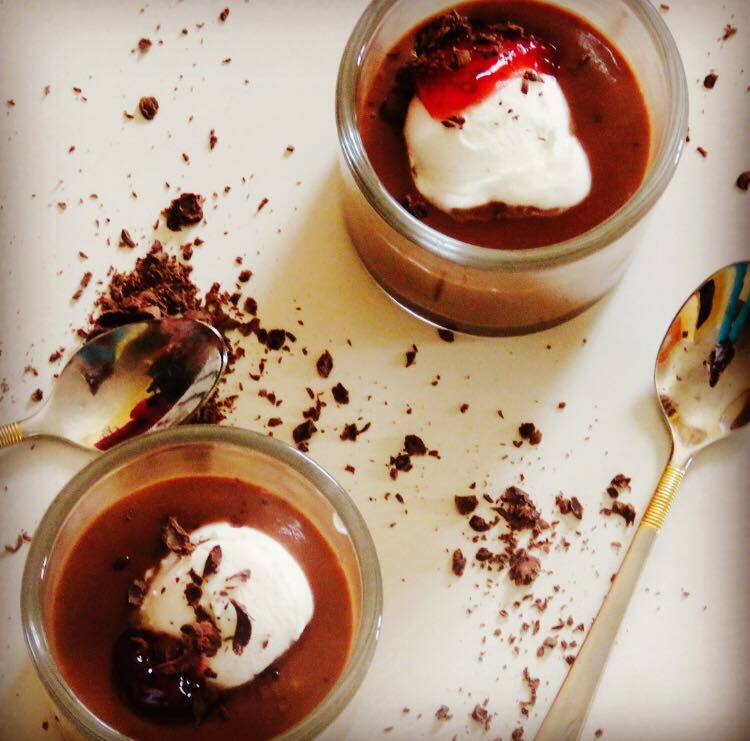 This homemade chocolate pudding is quite easy to prepare and what makes it so perfect is that most of the ingredients you will already have in your cupboards. Things like milk, cream, sugar, eggs, cocoa powder, and chocolate. And while some may think of Puddings as old fashioned, when you serve this dessert in pretty bowls with a large dollop of whipped cream, there is no better way to end a meal. Add the egg yolks and whisk into the cocoa paste mixture. Set aside while you heat the remaining milk and cream. Have ready a strainer placed over a bowl as you will need to strain the pudding after it is cooked. Take the heavy bottom sauce pan Then pour in the remaining 1 cup milk with the cream. Bring this mixture just to a boil (the milk will start to foam up) and then remove from heat. Gradually pour the hot milk into the egg mixture, whisking constantly, until the mixture is smooth. Transfer the pudding mixture to a clean, heavy bottomed medium sized saucepan and place over medium-low heat. Remove from heat and pour through the strainer to remove any lumps that may have formed during cooking. Add the finely chopped chocolate, vanilla extract, and butter, stirring gently until the mixture is smooth. Pour into serving bowls ,you can serve warm or chilling.